The great debate.. to snack or not to snack? There seems to be a big divide between those who think snacking is a good thing and those who think snacking is bad. Some of you will often be the ones to be totally avoid snacking and stick to a strict three daily meals, or others will admit to snacking two or three times throughout the day. ‘Snacking’, to some means ‘eating when you’re not truly hungry’ and has bad connotations. Others, may see it as ‘snacks’ are generally unhealthy, empty calorie foods and explain the defensive side! But here we are loud and proud that snacking is OK! When it’s done right, snacking can be a healthy habit that may help you manage your weight and balance your diet. 1. Smart snacking may prevent you from overeating at meal time. Most of us get hungry every 3-4 hours. So, if there’s a long stretch between meals, you’re likely to get hungry – which is why a snack would be appropriate. But if you resist the urge to snack and try to “tough it out”, there’s a good chance you’ll just make up for it by overeating at your next meal. 2. Smart snacking can help you reduce your overall calorie intake for the day. Healthy snacking can help certain people control their total calorie intake for the day – rather than thinking that you’re going to add calories right on top of everything you’re already eating. But if a well-planned, healthy snack helps you eat less at mealtimes, then you’ll cut your daily calories overall. 3. Smart snacking can help you to work more healthy foods into your day. The more often you eat, the easier it will be to work in your daily servings of healthy foods like vegetables, fruits, and calcium-rich dairy products. 4. Snacks can help you maintain your physical and mental energy. When you eat regular meals and snacks, it can help keep your blood sugar more stable throughout the day – a good defense against between-meal dips in blood sugar that can sap your mental and physical energy. 5. A substantial afternoon snack can help control portions at dinner – which tends to be the largest meal of the day. Lots of people manage to control their eating pretty well during the day, but really cut loose at night and eat a huge dinner. For those, a larger afternoon snack – almost a small “second lunch” – makes it much easier to cut back at the evening meal. 6. 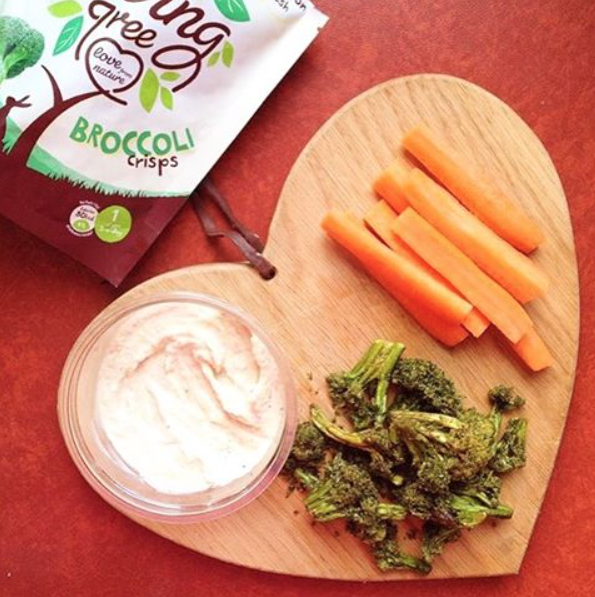 Encourage children to associate snacking with healthy foods and veg from a young age, and when serving children with treats such as chocolate, make a point of this not being a ‘snack’ but something that shouldn’t be eaten regularly. When Is The Snacking Habit Not Healthy? – You’re eating unhealthy, high calorie foods like sweets, crisps, and fizzy drinks. Not only can these high calorie snack foods contribute to weight gain, they offer little nutritional value. – You’re eating for reasons other than hunger. Snacking wisely means that you choose healthy foods to eat in between meals to help control your appetite and meet your nutritional needs. But if you tend to snack when you’re not hungry – maybe you’re bored, stressed, angry or tired – it’s a habit you might want to think about breaking. One reason snacking has gotten such a bad reputation is because so many common ‘snack foods’ are high in fat, sugar, salt and calories. You’ll want to steer clear of those, and instead put together a snack that will provide a mix of low fat protein and healthy carbohydrates. – Protein shake made with nonfat or lowfat milk, protein powder and fruit. 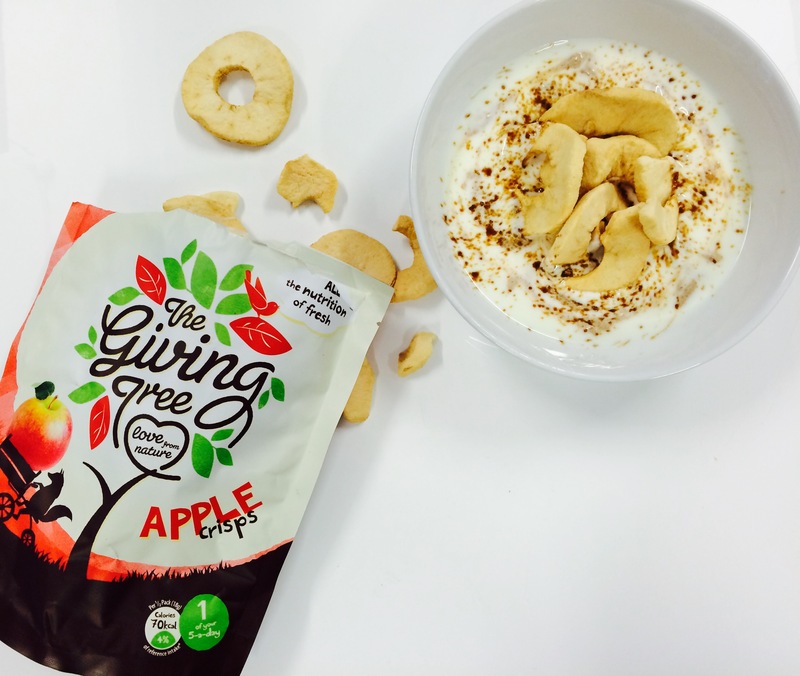 You can scale the size down a bit for a ‘snack-size’ shake and try adding Giving Tree strawberry crisps. – Plain nonfat yogurt, sweetened with a little honey and cinnamon, topped with fruit. 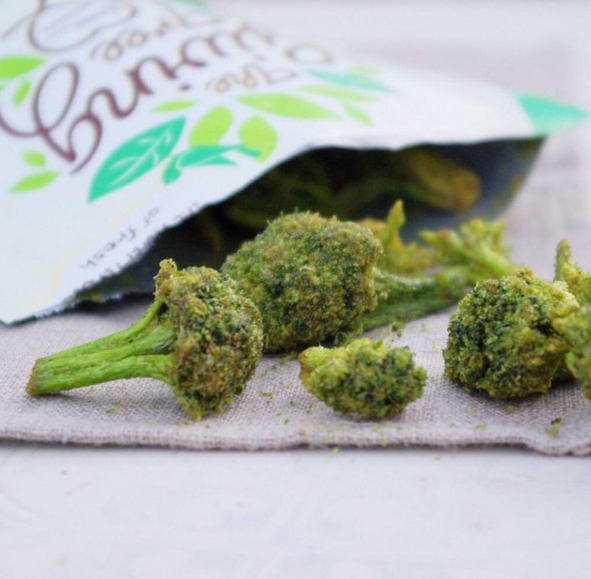 Let us know what you think of our snack ideas, we love to hear from you!